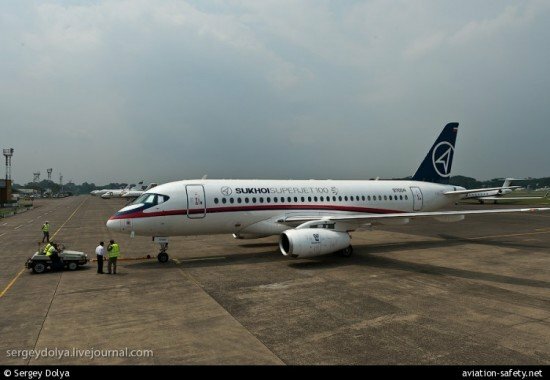 The Indonesian National Transportation Safety Committee (NTSC) issued five safety recommendations in the wake of the accident involving a Sukhoi Superjet in May 2012. An IFR flight plan had been filed for the demonstration flight out of Jakarta-Halim Perdana Kusuma Airport. – To ensure that all aircraft used for a demonstration flight operated under IFR should be conducted with respect to a published minimum safe flight altitude. – To ensure a copy of the crew and passenger manifest be available in the Ground handling and Operation Service office prior to flight. – To review the current procedures for the preparation and conduct of a demonstration flight and, if needed, introduce appropriate amendments. – To arrange additional training for flight crews who will conduct demonstration flights, especially in mountainous regions.